Over the last few weeks, the PTA have been busy organising our Easter raffle & agreeing dates of future events & meeting with Mrs Cunningham, to help raise more money for our children. If you have any questions or ideas you would like to discuss please join us for a cuppa and a biscuit (or two!) on Tuesday mornings at 9am, in the school meeting room. Please note there will not be a meeting on Tuesday 26th March, due to our parents meetings. 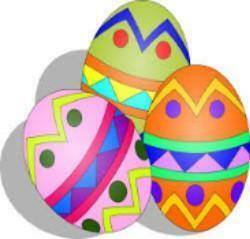 Our Easter raffle tickets will be available from Monday 25th March, for 20p each. These can be purchased from our tuck shop each morning. Please note that children in Early Years and Key Stage 1 can also buy tickets. If they bring money in to their class teacher we will send a ticket/s back to class. Our prizes are pictured here. Thank you to the PTA for organising!